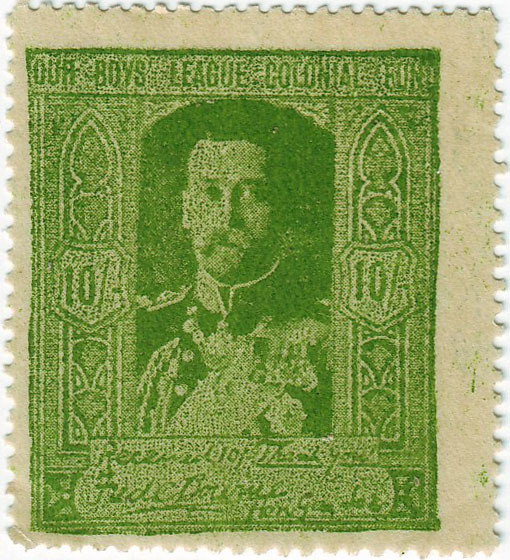 c1912-14?. 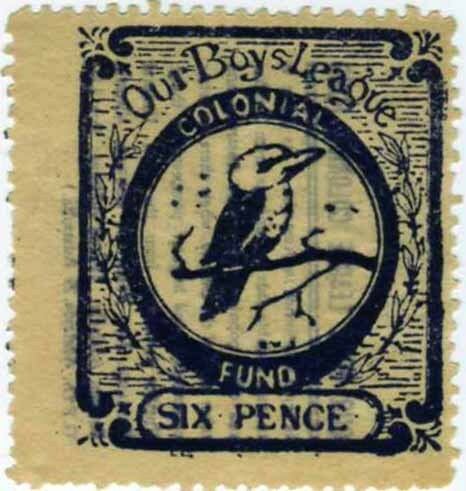 The complete series of private receipt revenues from ‘Our Boys League Colonial Fund’, comprising of six different values with three different designs. There is a 3d & 6d depicting an Australian Kookaburra. 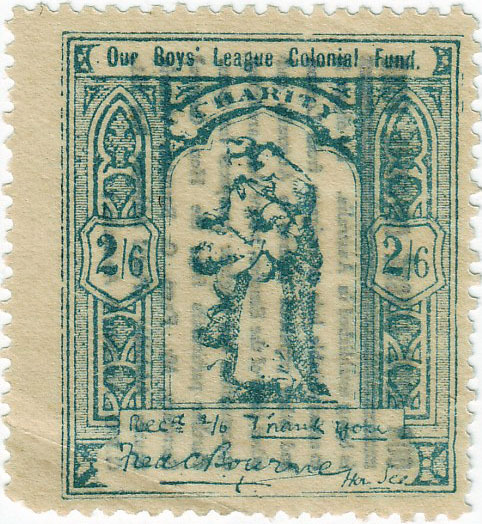 The 1/- & 2/6d have an obvious 1897 UK commemoration flavor. 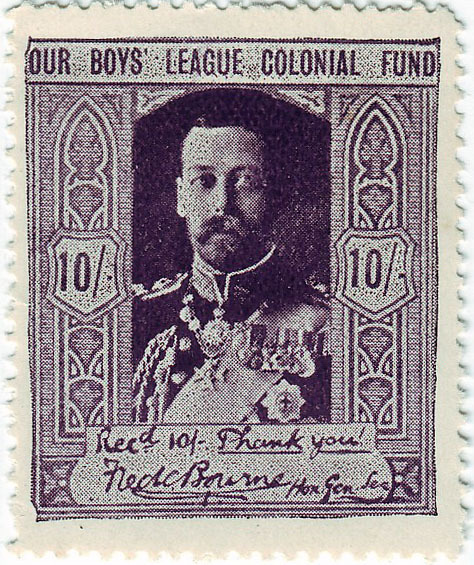 The 5/- & 10/-, again with clear ties to the UK depicting King George V and Queen Mary. The lower inscription clearly reads "Rec.d 10/- Thank you! Fred C Bourne Non Gen Sec". This inscription confirms a private revenue tie with these recepts. 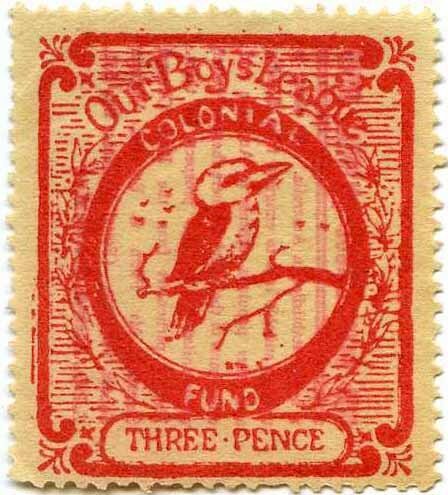 The odd used copy has turned up in the past stumping collectors, the above being mint have an inscription on the reverse which reads “Our Boys League Colonial Fund is being established in Australia. 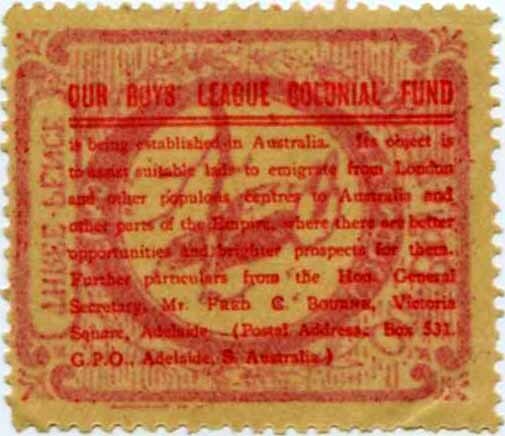 Its object is to assist suitable lads to emigrate from London and other populous center’s to Australia and other parts of the empire where there are better opportunities and brighter prospects for them”. This fund was set up in South Australia so one can presume these receipt revenues were printed in South Australia. 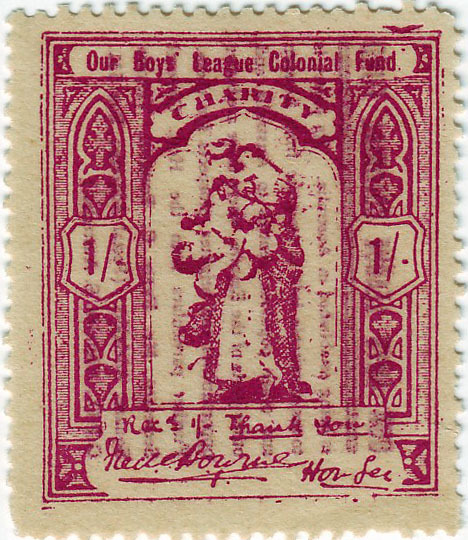 This is the first time mint stamps from this fascinating and un-researched fund have come to light. It is possible with this paper being so thin that the survival rate has been virtually zero. Or values above 6d were our of reach of the public purse. If you are reading this and can throw further light on this group please email me. 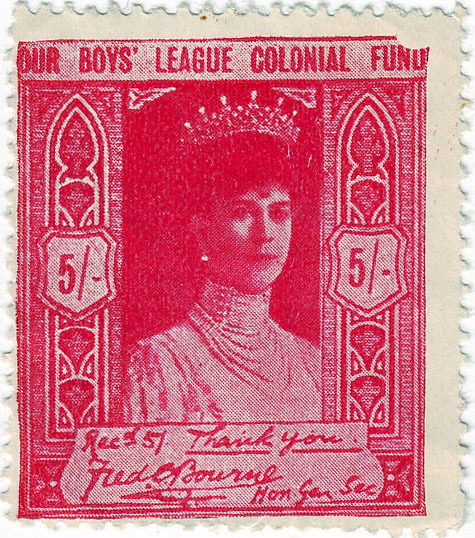 References: The earliest report on 'Our Boys League' I can find is in Stamp News Australasia November 1991 Cinderella Corner' written by Bill Hornadge. The 6d Kookaburra depicted in Bill's article has similar centering to the 6d above.